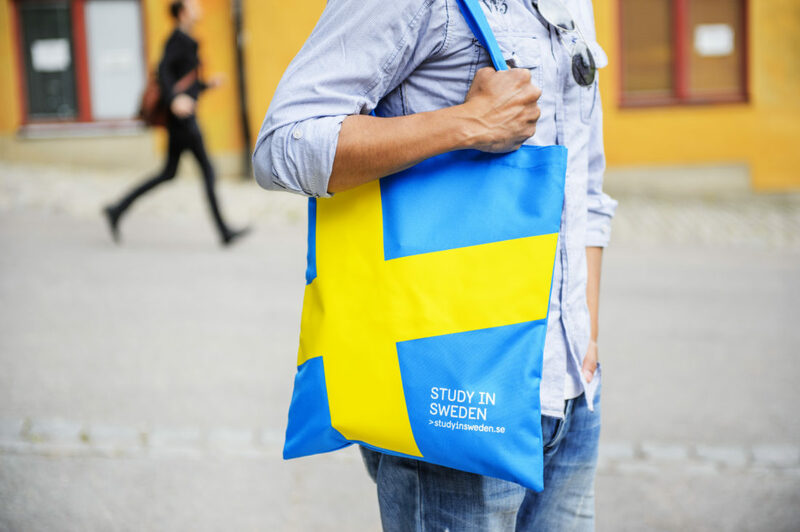 The Swedish Institute has recently updated several things about the Swedish Institute Study Scholarship (SISS) – its name to begin with! It will no longer be referred to as the Swedish Institute Study Scholarship (SISS) but the Swedish Institute Scholarships for Global Professionals (SISGP). If you are considering sending in your application in the next 2 months, this post helps to highlight the new updates and gives a quick eligibility scan to help you gauge your eligible for this scholarship. If you are eligible, it offers insider application tips that will help with your application. However, if you are not yet eligible, it proposes alternative steps that will help you move closer to your goal of quality education. The application period for the scholarships remains the same – the first week of February and in this case – the 4th of February 2019. The fact that the applications are usually open for just one week means that as an applicant you should have a solid understanding of the documentation needed for submission and have this ready in good time. Why should consider sending in your Application? I remember the day I got an email from Swedish Institute congratulating me for being a scholar like it was yesterday. I could not believe it and thought for a moment that it was a dream. This was an opportunity to further my studies in a renowned university, at no cost, while receiving a monthly stipend, a medical insurance cover and a travel grant to ensure I got to Sweden in good time. To add to this, I was automatically a member of one of the largest networks of future leaders and had the chance to attend world-recognised conferences of interest. If I was to describe the SI scholarship in two words, it would be wholesome and comprehensive. The Swedish Institute website clearly lists the benefits each of the scholars receive. If you are sold, let’s move to a quick eligibility scan to confirm if this opportunity is for you. 1. What’s your citizenship status? 2. Do you have 3,000 hours of work experience and can you prove it? Let’s put 3,000 hours of work into perspective: this could be one and a half years in a full-time position (40 hours a week) or 3 years in a part-time position (20 hours a week) by the time you send your application. Work experience does not necessarily mean an employee position but includes freelance positions as well. 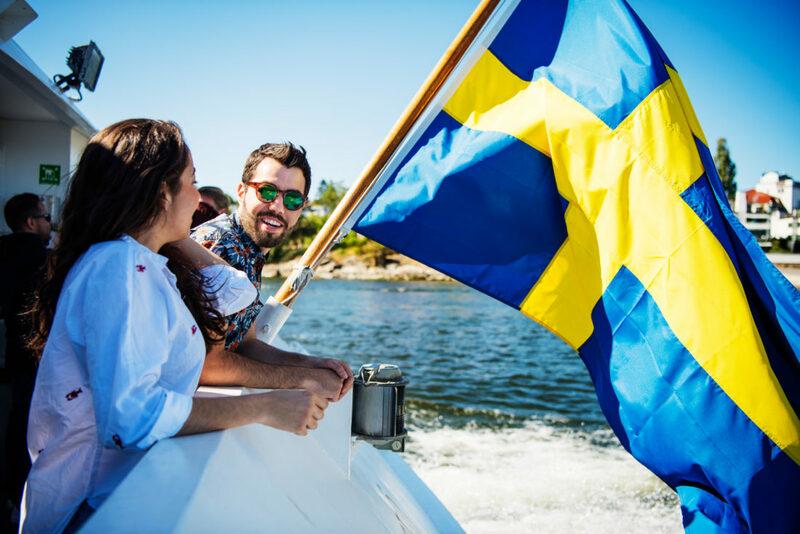 Many fresh bachelor graduates might be tempted to send in applications without work experience but the Swedish Institute is very strict and may not move forward with your application if you have not met the required 3,000 hours of work experience. I remember when I was fresh out of university, I tried my luck with several scholarship applications but did not end up bagging any of them because I did not have any work experience. Several years later after gaining working experience, I realise why work experience is extremely important when it comes to discussing what you have done, the path you want to curate for yourself and the specific areas you feel you will be able to create impact and leave your mark. If you do not have work experience just yet, my advice would be for you get your feet wet – gain some work experience, start an initiative, volunteer, freelance, get to know what field you want to work in, why you want to work there and what impact you feel you will be able to contribute. Trust me, it makes your motivation letter more believable, factual, precise and achievable. If you feel obliged to complete your application without work experience, you can venture into scholarships that are awarded based on academic achievements or sports as the criteria for selection for such scholarships would rely on your grades or sporting capabilities. 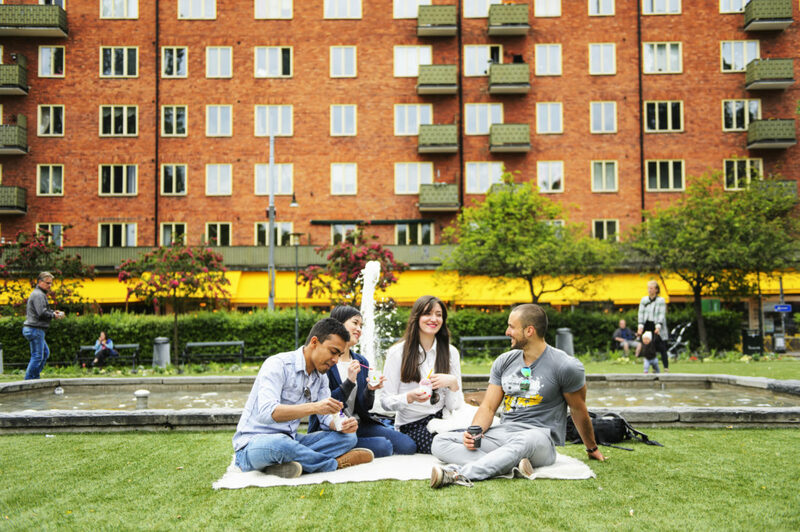 If none of the these is an option, you could consider self-funding your Master studies as Sweden offers affordable education and has 1 year Master programmes that can help you save up on costs and fast track your career. 3. 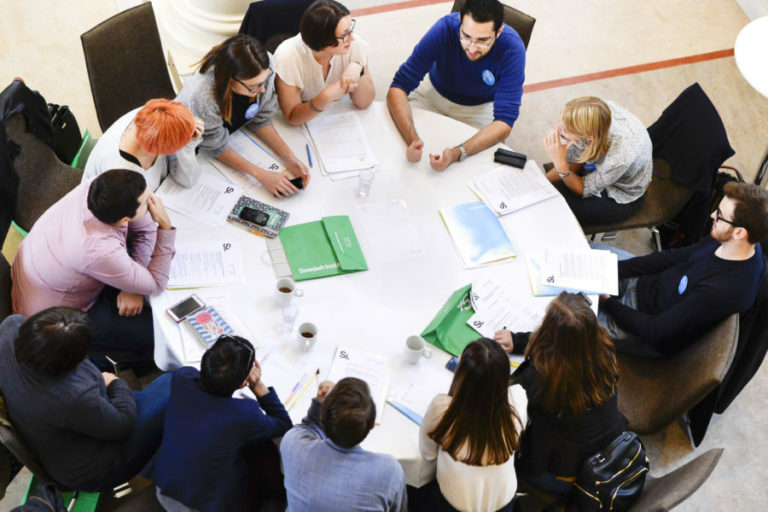 How is your career related to the UN 2030 Agenda for Sustainable development? No poverty. Zero hunger. Good health and well being. Quality education. Gender equality. Clean water and sanitation. Affordable and clean energy. Decent work and economic growth. Industry, Innovation and Infrastructure. Reduced inequalities. Sustainable cities and communities. Responsible production and consumption. Climate action. Life below water. Life on land. Peace, justice and strong institutions. Partnerships for the goals. 4. 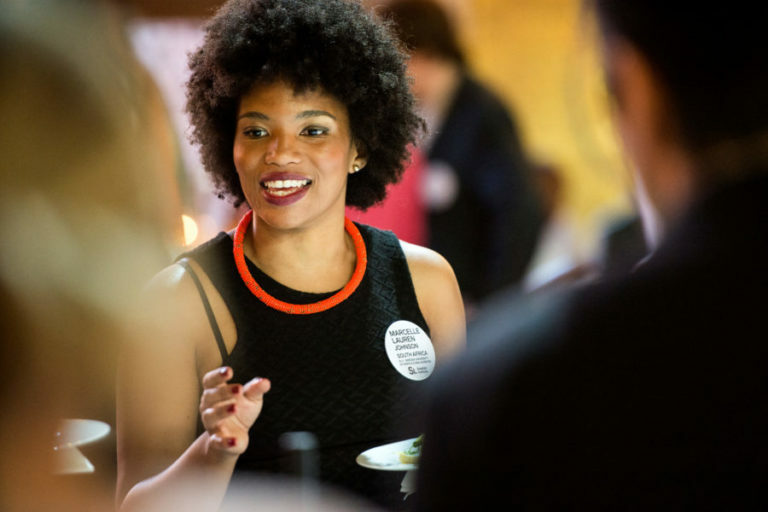 Do you have leadership experience and can you prove it? Alongside your work experience. leadership experience is essential. 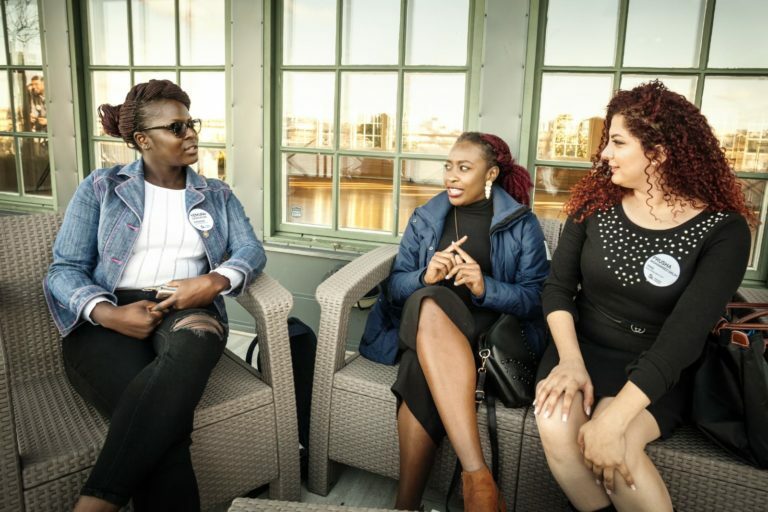 The leadership experience is not only tied to leading other colleagues but includes leadership positions within civic societies and the mandate to influence your organisation’s strategy and decision-making processes. 5. Do you have Referees? Referees play an important role in your application as they talk about your contributions, competence, character, drive and goals. That is why it is important to reach out to them earlier to prepare them as writing a reference may be time-consuming. The Swedish Institute will provide templates that you can send to referees which have specific questions that they will answer about you. 6. Are you articulate in demonstrating the work you have done and the work you intend to in your Motivation letter? It is important that you know how to clearly articulate what you have done, what you intend to do and how you intend to do it in your motivational letter. The motivational letter is structured as a template with specific questions and word limitations that you should adhere to. This structure creates a condensed and summarised letter which should only contain important details of your career, contributions and future aspirations in relation to the UN sustainable goals. Clearly articulating a plan that is achievable is the key to getting the scholarship. Sometimes you might feel that your contributions are too small or insignificant but this should not deter you from listing them. If you can back it up with a concise plan of how this scholarship will help you to create an impact then you stand a high chance of selection. All check? How do you apply? A copy of your Passport. A CV as per the SISGP CV template. A motivation letter as per the SISGP motivation letter template. 2 letters of Reference as per the SISGP template format. Proof of work experience as per the SISGP template. Proof of leadership experience as per the SISGP template. All templates can be accessed on the official Swedish Institute website here. 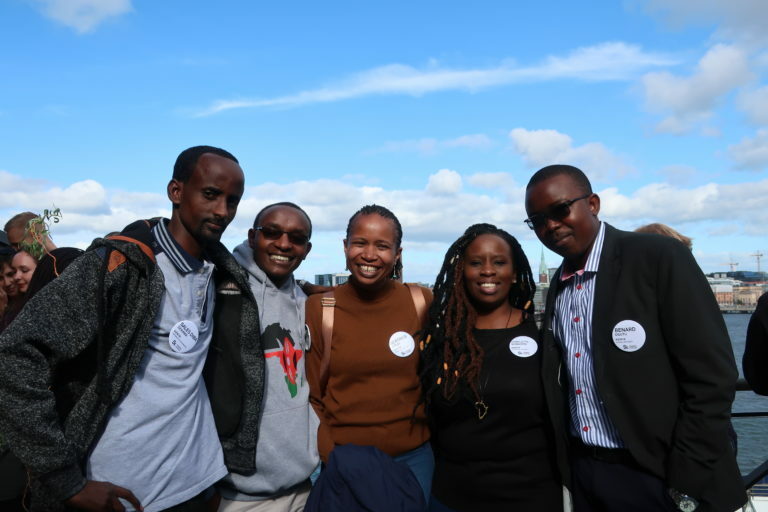 2018 SI Scholars from Kenya. Note that the application for the university programmes and for the scholarships is done at different times and on different portals with different deadlines. The steps for application are the easiest you will come across. 6.Universities will first communicate selection results. 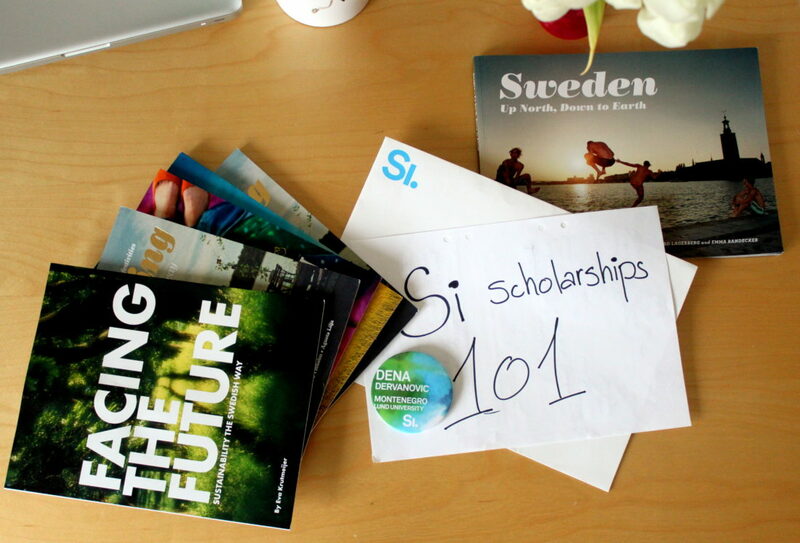 7.Swedish Institute will thereafter announce scholarship results. SI does not have a specific time that they will reach out to the referees so could be at any time between now and April. Hi, Can you please tell me at around what time does my employer will be contacted in regards to the reference letter and work experience. My referee at work is normally stationed on site and it will be difficult for him to access his work email. i want to know that, how to calculate working hours ? For this question please contact SI official site to have an answer because valid work experience for SISGP includes both full-time and part-time employment when you are an employee, employer, and freelancer. 1. How exactly should I calculate the number of hours in this case? 2. How should the referee answer this question: “In what capacity do you know the applicant”? They should answer how they know you. In this case, did you report to them? Hi Concillier, thank you for this amazing post. Quick question, I already have another master’s degree from another scholarship (but not in Sweden nor it was from Swedish Institute scholarship). Do you think I am still eligible? or does it gonna have an impact on my application? thank you! This should not be a hindrance, you are very much eligible. All the best in your application! How to write about civic society engagement when my field is software development. i always work in software house. How i can write about this civil network engagement. He type it as Junary, instead of January, does this make a problem on my application? please can you say me something , if it is a problem? This might sound silly, but I can’t quite get my head around the order of these 3 questions…. *Do/did you have a leadership position at this organisation? *Do/did you hold responsibility for any of the following within this organisation? * How many hours have you held/did you hold this leadership position at this organisation prior to 3 February 2019? The third seems directly related with the first one–but not the second one in my view. What if I did not have a formal leadership role; but I held one of the listed responsibilities..? How will I answer the third question? do I indicate 0 hours? Or the number I have been involved in the responsibility? means that they consider these to be leadership experience related roles one way or the other even though you are not currently the main boss at your line of work. Hope this helps. Your comment…Wonderful piece…spot-on. Ahsante sana for opening up on this seemingly complicated process. My daughter is now reviewing her LOM based on your golden tips. That article is so helpful. Asante sana Waweru! Wishing her all the very best in her application! Hey coco… am doing my application application now and I have question concerning submitting different documentation for different master programme .. what do it basically mean? You will make 4 scholarship applications for Option 1, Option 2, Option 3 and Option 4. Hi Coco! Thank you very much for all your blog posts. I have found them very informative and entertaining. You have been most helpful in preparing students for the SISGP application process. Thanks for taking time out of your studies to answer all the prospective students on their application inquiry. Such a great and encouraging message! Thank you, thank you, thank you! All the best in your application. I have a query about work experience that is i have one year work experience before i started my undergraduate course.My question is whether that work would be considered if i document it in application? Though the work experience is related to my undergraduate course. It may be a long shot but feel free to add the work experience before your undergraduate. I say long shot because am not sure whether this experience was a professional one or not. Please also put in mind that you are allowed to upload a maximum of three organisations/companies/work experiences. I need help with the work experience form. Say I have a total of 3000 work experience at my work place. 2000 as auditor and 1000 as senior auditor. Do I need to provide 2 work experience forms for both experiences or I can provide just 1 work form with a total of 3000 hours. In the latter case, what position held will I provide? Auditor or senior auditor? I have for example 10,000 hrs work experience out of which 8,000 is work experience without leadership and 2,000 hours as a leader. On the proof of work template there are two sections titled “WORK EXPERIENCE” and “LEADERSHIP EXPERIENCE”. According to my scenario, should i fill 8,000 hrs on “WORK EXPERIENCE” and 2,000 hours on “LEADERSHIP EXPERIENCE”? will this be qualified as eligible ? Thanks for your question. The rule is to keep it simple. Work experience: How many hours have you worked? Leadership experience: How many hours have you worked as a leader? i am from pakistan and have applied to same program in 3 different univrsities. do i need to write 3 different letters of motivations? Hi concilier, I’m Ezekiel from Ghana, I’m a teacher with the Ghana education service, I was employed in 2013 so for the experience I fall within. My issue is how will I know sisgp has started contacting referees so that I can call them to check their mails they may not be visiting their mails regularly? SISGP will not contact your referee just yet. It is up to you to get the reference template and send it to the referees who will then write the reference and add official signatures/stamps. After that, you will upload these letters with your application. After you submit all the documents in your application, SISGP may contact your referee to confirm the information on the reference letter. This could be through phone or email. This information is very helpful helpful to me in applying for the scholarship. Thank you and God bless. Thank you for the information. Kindly help with this question,is my work experience going to be calculated and typed in the space provided or I should just type the number of hours worked? Thank you councilor,please in the work experience,will I explain and type the calculations in the space provided on the form or I will just write the number of hours worked and months? There isn’t any scholarship for iranian students ? This is Asif from Bangladesh. I completed my Graduation on mid-December 2018, majoring in LAW (LL.B. Hons). I have 3780 hours working experience at “Office of Carrier Guidance and Placement” of the same university where i was studying. From 2nd of January 2019 i joined with a Legal Aid Organization as an Intern/ Part-time. I am also working with my senior advocate at Supreme Court of Bangladesh as an apprentice. And i have two research experience as a research assistant which is based on Human rights issues in Bangladesh. My Work and Leadership experience letters demonstrated by the Head of the Organization where i worked. He also gave me a reference letter as per the SI Template. So, my first reference is complete. I involve with a NGO as an Intern/ part-time. My 2nd reference letter from them, will i provide to SI? Is it recognized the involvement with civil society organization for me? or it will more effective, if i provide my 2nd reference from the research consultant where i assisted by them ? Please give me suggestion which one is better for me? The SI Scholarships for Global Professionals (SISGP) requires two letters of reference. At least one letter of reference must be based on your work experience from part-time or full-time employment, internship, voluntary work or work at student organisations. The second letter of reference can be based on your academic performance, part-time or full-time employment, internship, voluntary work or work at student organisations. However, it will be of merit if this second letter of reference is based on your involvement in networks or civil society organisations outside of your regular work. If you are not able to provide these documents, your applications will be deemed ineligible. We make no exceptions. Thank you for the vital information Concillier, I now read everything related to Studying in Sweden. I applied for a one year Masters in Information Systems, same thing you are doing. My problem is with the SI motivation letter template. The questions seem very ambiguous and I am afraid I may just have answered off topic in drafts. Any way to put up and article to help give us context. I would be grateful. thanks for the heads-up. I think I am in line and got my fingers crossed for next month. I was basically reading through your useful blog and mentally checking (ticking off) my lists of docs. I find this very useful and thanks once again. Wishing you the best in your application Rizka! This is Samuel, l have completed and graduated my bachelor’s program this year and l have been studying while working for three years. Could the three years working experience while studying be beneficial when am applying for the scholarship? Yes, it should. As long as it comes to 3,000 hours then that is okay.All the best in your application! I am Tanzilur from Bangladesh. I worked as a contructual part time staff in Global Communication of Grameen Communication. SISGP authorities granted this working time 8 hours per day as a part time staff. Sorry, Tanzilur but am having a hard time understanding your question, therefore, I will share with you an example that will guide you in calculating the number of hours. “Currently employed full-time, working 40 hours per week for 50 weeks per year for 1 calendar year prior to 3 February 2019, and previously worked part-time as freelancer 12 hours per week for 28 weeks per year for 3 calendar years. The calculation is (40 hours x 50 weeks x 1 year = 2,000) + (12 hours x 28 weeks x 3 years = 1,008) = 3,008 hours. Hi and thanks for this information. It is really help. I am a prospective applicant. I have done my university applications, now putting organizing myself for the SISGP application. I just wanted clarity on the part were you stated that for each choice given, a scholarship application should be made. How is this done? Thanks for reaching out. You will get to see what I mean more clearly once the scholarship application is open and once you start submitting your details. This means that you should make a scholarship application for each of the university courses you have selected at universityadmissions.se. You may not make 1 scholarship application for all the selected courses but will have to do a scholarship application for each of those courses. That way, if you happen to be selected to a university of your third or fourth choice, they will consider your scholarship application for the third or fourth choice respectively. Hope this makes sense 🙂 and all the best in your application! Many thanks for the information. Its so encouraging. However, SI seems to be so much interested in civil society *engagement* besides *regular* work … so this raises questions! 1. What is civil society, could this be any NGO in my country? I feel like they want *advocacy* orgs. 2. When they say engagement besides regular work, it sounds like i must be working somewhere at the same engaged with any civil society org!!?? I need more clarification.. please. Civil society loosely translates to “a society considered as a community of citizens linked by common interests and collective activity”. Therefore it could mean anything really. Could be a Student Union where you were a leader/have experience, Work union, NGO, out of work organisation. Basically, any organisation where you have a role that is not your workplace. Your reference should be able to comment on your contribution, your personality and the impact you have created. Hope this helps! Great one Coco! All the best to prospective applicants. Is age a criteria for scholarship although this is not stated? Also what is the maximum age of people being selected for the scholarship? Am glad I meet all the requirements but my worry now is that my passport is expiring in August 2019 and am working on renewal. So will I be eligible for the scholarship if I apply using the one which will expire in August or is there any possible means that I can mention that am in the process of renewing the passport? Hi Ropafadzo. Great question. There is no problem if your passport expires and you have to renew it. This should not affect your application 🙂 All the best! Most of the landline phones in my employing Institute or my references does not work because of the network infrastructure and quality in my country, is there a problem If I use the mobile of my referees as long as they are my genuine referees? Hi Moss, sure. As long as the references can be contacted and you can include their emails as well. Hi Emmanuel. This scholarship is for Master students only with work experience. Many Thanks for your explanations, hope it will help to prepare my documents for Scholarship application. Thanks for reading Saiful and all the best with your application! This has been very helpful. Thanks for the awesome tips. I look forward to submitting my application in February. Thank you for going through the post and all the best with your application in February! MY name is yosef kassa I am from Ethiopia. I want to say thank you very much for all your council . I prepare myself to join Swedish Institute Study Scholarship come on February 2019. •	Please can you help me by showing all the application directions? •	And by sending application formats in addition to CV as per the SISGP template? I am currently applying for the Sustainable Energy Engineering at KTH. I am from India and have more than 15000 hours of work experience and leadership qualities. Am i eligible for SISGP ? Oh Ning am so sorry 🙁 . Hoping that they bring it back to the list next year. Thanks Matthew! And all the best with your application! 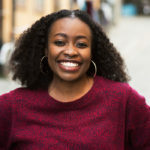 Hallo This is Yves, i am in the application process of this scholarship and i have strong beliefs that by God’s grace i will receive this opportunity to learn more so as to create a more significant impact in my career by expanding my possibilities through this scholarship but i have one simple question …. could it affect my scholarship application i have my reference letters,work and leadership experiences signed way before my application dates say like i have document signed in December 2018 while i will be using them in February 20189? I don’t think this is a problem as long as by the time the signatures are added to the documentation you already have the hours you have specified in your application (that is: 3,000 hours and above) and no predictive hours in the future which you haven’t actually worked at the time the signatures were being added. Hope this answers it. All the best with your application! you can explain every thing in detail, I my self appreciate your thoughts. one question from my side, if I get both of referee letters from previous institute professors, is it ok? Thank you for going through the post! I feel that the references would be better if they came from one of your past work experiences as well as another non-academic organisation that you are involved in. If you are not involved in any organisation, you can get the referee from 2 different past employees. Hope this helps and all the best in your application! Thank you. How can I become a digital ambassador if I make it for the SISGP this year? The application period for the Digital Ambassadors positions are usually communicated on this website so please be on the lookout and all the best! And thank you for stopping by and reading this Ajiambo! I am wishing you all the best in your application come February 2019!